County permitting can be tricky waters to navigate. There are many facets of the permitting process and there are multiple contact points within the process — often making communication among those involved complicated and time-consuming. 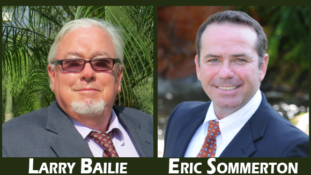 Your Land and Luxury Real Estate Advisors at Team Bailie offer an exclusive, complimentary PERMIT AUDIT program for sellers and buyers. Contact us to find out what we can do for you to bring you peace-of-mind regarding permits on your home or a home you wish to purchase.